You are at:Home»Is it Good for You»What is Quinoa ? I love to try new foods, and one of my more recent finds is something called quinoa. It’s not pronounced like it looks but is, in fact, pronounced keen-waa instead. Why? Don’t ask me! But don’t let this odd-sounding name put you off what is one of the most nutritious foods around. Quinoa, which comes from South America, looks like a grain, tastes like a grain, and cooks like a grain but it’s not a grain at all; it’s actually a seed. Quinoa was first grown for food 7,000 years ago in the Andes where the Incas called it “the mother grain” and thought it was sacred. Because it’s a seed, it’s packed with vital nutrients that will do you nothing but good. There are over 3,000 varieties of quinoa, but the most common and widely recognized are white, red, and black quinoa which are the varieties you’ll commonly find in your grocery store. 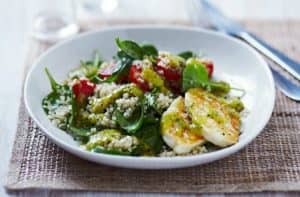 Not so long ago, quinoa was only available in the hippest of health food shops and restaurants but, more recently, it has become more mainstream and is available at most supermarkets. I usually buy my quinoa online from Amazon.com, and this is my favorite brand, available at amazon.com. Branded as a superfood by various authorities including the World Health Organisation, quinoa is gluten-free and can be used in place of rice and other grains. Because it’s gluten-free, it’s ideal for people with gluten sensitivity and intolerance as well as celiac sufferers. More about gluten, recipes included, start here. 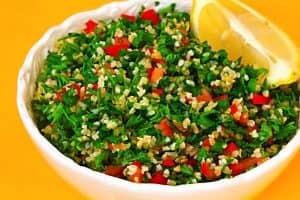 Quinoa is also low in calories, that same one cup containing only 220, and offers five grams of fiber, four grams of healthy fats and a whopping eight grams of protein. It’s also renowned for being filling, having a very pleasant nutty taste, and may help reduce systemic inflammation – the cause of many diseases. Unlike grains, quinoa contains all nine essential amino acids which means that it’s a proper protein and not an incomplete one like nuts, beans, and wheat. This makes it a viable alternative for vegetarians or anyone else looking for meat-free protein. If you can cook rice, you can cook quinoa – it’s that simple to prepare. 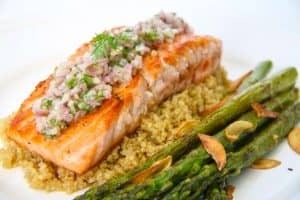 Use one part quinoa and two parts water, seasoning as desired, and then boil and simmer until the water is absorbed which usually takes around 15 minutes. You’ll know when it’s ready when the quinoa sprouts little tails. Cook it in broth, vegetable or chicken stock for a stronger flavor. You can eat it hot as a side dish just as you would rice or let it go cold and eat it as a healthy snack or as part of a salad. Some people suggest rinsing it with cold water before cooking to remove any bitterness. I’ve done this but, to be honest, I can’t tell the difference. Try it yourself to see if it makes any difference to you. When I’m in a hurry and want something healthy and tasty to eat, I put a half cup of quinoa in one cup of water and add one cup of diced frozen vegetables. Allow to simmer for 15 minutes, and you’ve got a quick and easy vegetarian meal that is nutritionally complete. Season with a little low sodium soy sauce and sprinkle with a little parmesan for extra flavor. I’ve even cooked it in milk to make a sort of quinoa oatmeal – delicious! 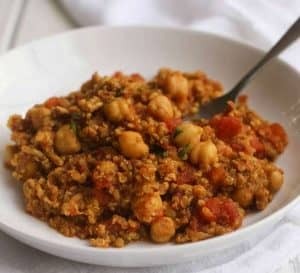 I’ve got more quinoa recipes to share with you, check the next section, so take a look if you like the sound of this superfood. More about superfoods on my guide “My Superfoods“. Quinoa isn’t really new – it’s been around for thousands of years which is why it’s often called an ancient grain (even though it’s a seed and not a grain at all!) – but a lot of people are only just discovering it. Tasty, healthy, and versatile, quinoa truly does deserve a place on your dining table.